Inspired by African style and culture, the Hericus Table Lamp by Heathfield & Co features an antique, ebony cast ceramic base with a distressed finish. 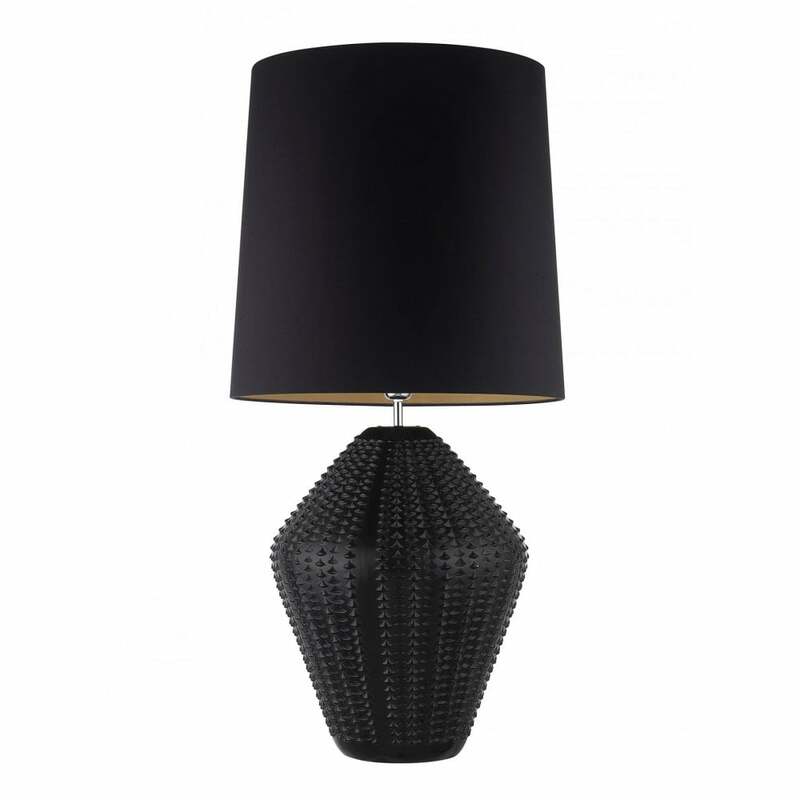 Highly textured, this unique table lamp creates a striking focal point within a hallway or living space. Complemented by a black silk shade, Hericus will add drama to a minimailstic, monochrome space. A wide variety of fabric and colour options are available. Choose a metallic shade for sheen and glamour. Make an enquiry for more information. Priced for 18" Tall French Drum shade in silk with white PVC lining. Please contact us for other options.